Ten years is a long time to play the same numbers, but persistence has paid off for David R. Wright from Ottawa Canada. He picked up a check on Monday with enough zeros on it to ensure he'll be wearing a big smile for quite some time. Wright won CAD$ 5.9 million in the Saturday, April 2, Canada Lotto 649 draw, but never realized a big check was waiting for him until he picked up his paper on Monday morning. As soon as they discovered the news he and his wife rushed to Toronto to make their claim. Wright now intends to use some of his winnings to help out his family and is checking out his travel options. There was another EuroMillions rollover on Tuesday night so the estimated jackpot for Friday's EuroMillions draw has grown to €88 million (£72 million). A figure like that would look good on anybody's bank statement and if nobody manages to match the 5 main numbers and 2 lucky stars on Friday the jackpot will rollover for a 9th time and give EuroMillions players a larger chunk of cash to play for next week. But even if some lucky punter does scoop the big one on Friday there will still be a hefty prize on offer next week because EuroMillions officials at Luxembourg have just announced the second Superdraw of the year will be held on Friday, June 6. EuroMillions Superdraws are occasional drawings that are usually held about twice a year. They differ from ordinary draws by offering a guaranteed jackpot of €100 (£80 million). If no player successfully matches all the numbers drawn on Friday June 6, the jackpot will rollover in the normal way and receive a boost from ticket sales. The last EuroMillions Superdraw was held on March 7. The jackpot proved to be elusive. It rolled over twice, allowing it grow to €129 million (£107 million), before it was eventually scooped by, car mechanic, Neil Trotter from London, England. Prior to his big win Trotter had been spending a lot of his free time building a high speed car. His EuroMillions allowed him to change his focus and consider buying a whole fleet of sports cars instead. When the first tickets go on sale later this year the new Wyoming Lottery Corporation will pay retailers 6% commission on ticket sales. Becoming a WyoLotto vendor could be a lucrative arrangement and business owners all over the state are keen to get a slice of the action, but the number of vendors selected will be limited to just 500. There are around 1,800 retailers in Wyoming so competition is going to be tough. Speaking at the Riverton Holiday Inn on Thursday, April 24, 2014, the Wyoming Lottery Corporation's Chief Operations Officer Louise Plata told the 35 assembled business owners they would have a better chance of being selected if they got their applications in fast. "Speed is going to be important," Plata said. Plata went on to explain a little more about the lottery's selection process, stating that it had not been decided how many licenses would be allocated to individual cities, town, or counties, but promised quotas will be established. Potential retailers will be evaluated based on the criteria. Once the quota is met applicants lower down the list will be denied. Plata also stated the lottery was unlikely to require additional retailers after all 500 machines have been placed. "Based on population, if we go over that number we will probably experience cannibalization," she said. Lottery application forms and contracts are still being drafted, but the lottery expects to have them available within the next few weeks. The fee for becoming a WyoLotto vendor will be $100. A couple from Peel in Western Australia came forward last week and claimed their AUD$ 1,027,919 Division 1 Lotto prize nearly three months after the draw. The couple's numbers did them proud in the Saturday, February 8, 2014, Australia Lotto draw, but they didn't realize they had won because they had been overseas. The couple's identity has not been revealed, but one of them said: "After 40 years of working hard, this prize can now work hard for us and our family." To win the Australia Saturday Lotto jackpot players have to match all six main numbers in the draw. The jackpot for next Saturday's draw is AUD$ 4 million. A lottery syndicate from Dublin has picked up a check for €250,000 after winning the Irish Lottery's Easter Millionaire Raffle Draw. There are 14 men in the syndicate, they all work as machine operators at the BD Medical plant in in Dun Laoghaire, and each man will receive just under €18,000. Syndicate member Gareth Kelly has worked at the plant for ten years and was 'over the moon' when he received a call informing him of the win, but when he tried to share the good news with his colleagues they thought he was having a joke. "None of the lads would believe me," Kelly said. "I rang four lads, and they wouldn't believe me . . . but happy days." No ticket matched the seven numbers required to win Friday's Canada Lotto Max jackpot. It’s been a month since the Jackpot was won. The last time was March 28. Since then the jackpot has been growing larger with each weekly rollover and the jackpot available on Friday, May 2, is now CAD$ 50 million. Canada Lotto Max Jackpots are capped when they reach CAD$ 50 million so that's the largest prize available, but the lottery puts the rollover funds into separate Maxmillions draws instead to provide players with additional chances to win a CAD$ 1 million prize. All Lotto Max tickets are automatically entered into the available Maxmillions draws, and there will be two on Friday, so every ticket holder will have three chances to become a millionaire. A married couple from Canada's Saskatchewan province became CAD$1 million richer last week thanks to Canada Lotto 649 Free Play. Marlene and Melvin Dieno used their Free Play for the April 16 draw, but their winning ticket sat and gathered dust for a week before Marlene popped down to their local Co-op store and ran it through their machine. "I scanned one ticket that won a free ticket, and then I check this one and I thought the machine was broken because it said I won a whole bunch of money," Marlene said. When a store clerk confirmed her ticket had won a guaranteed CAD$1 million prize she was dumbfounded. "It’s not every day you get told you’ve won a million dollars," she said. Marlene and her husband had ongoing agreement that she would ring him straight away in the event of a win, but up until that point she'd never had to place the call. "This time I did call, and he didn’t believe me," she explained. When Marlene returned home and handed him the ticket Melvin still had difficulty in believing their good luck and checked the ticket a couple of times before he finally accepted the truth. "It’s unreal, this doesn’t happen very often in a small town," he said. The Dienos now plan to build a new home, help out their family, and put some money aside ready for their retirement. Friday's EuroMillions draw had a jackpot of £56 million (€68 million), but nobody managed to match the five main numbers and two lucky stars required to walk away with the prize so the estimated jackpot for Tuesday night's draw has grown to £62 million (€75 million). Second tier wins were equally elusive to UK EuroMillions players on Friday, but four players elsewhere in Europe successfully matched the five main numbers and one lucky star required to win a second tier prize of £343,855 (€417,655). EuroMillions drawing are held on Tuesdays and Fridays at 21.30 CET (20.30 UK time). A man from Moose Jaw, Saskatchewan, found himself shouting 'holy cow' earlier this week when he realized his Canada Lotto Max lottery ticket was worth CAD$500,000. Patrick Standish bought his winning ticket from the 7-11 Food Store on Caribou street in Moose Jaw. He checked it a week later, but had difficulties with the self-checker. "I scanned it twice on the Ticket Checker, but I couldn’t make out the numbers," Standish said. Not to be beaten he took his ticket over to another terminal, checked it again, and had better luck. "I said, 'Holy Cow!' I just stood there," Standish admitted. He had successfully matched seven of the numbers drawn in one of the Lotto Max Maximillions drawings. The CAD$1 million prize was split between Standish and a ticket-holder in Ontario who picked the same numbers. A lottery syndicate consisting of nine school dinner ladies picked up a £100,000 EuroMillions check earlier this week. The lucky ladies won their prize on April 11, but syndicate leader Irene Gant, 71, popped the ticket in her bedside cabinet and never got around to checking it until two weeks after the draw. All nine syndicate members work at Worksop College Preparatory School Ranby House and are known as "the Ranby Revellers". They have been working together—and playing the lottery together—for 12 years, but apart from the occasional £10 this is their only big win. None of the ladies have any definite plans for their share of the money, but they say they may help out their families. "It's so nice to have won it together after being friends for so long," said leading Ranby Reveller Irene Grant. The Village of Slane in County Meath, Ireland, has been abuzz with speculation since the April 9, Irish Lotto drawing. Someone won the €6.5 million Jackpot with a ticket purchased from the village shop and the villagers have been waiting for the winner to come forward and claim their prize. The wait is over. The prize has been claimed. But the mystery goes on because the winner has opted to remain anonymous. A lottery representative stated a woman from County Meath claimed the prize on Thursday morning and picked up her €6,496,219 check. The woman admitted she learned of her win the morning after the draw when her daughter rang and told her the winning ticket had been purchased in Slane. The woman said she held the winning ticket in her hand as her daughter repeated the numbers into the phone, but the woman said she was so shocked to discover she'd won she went into denial and 'continued the conversation as normal'. "For the rest of the day, I continued to work on as if nothing had happened," she told lottery officials. "There are certain routines every day and they have to be carried out, part and parcel of life, really." The woman finally spilled the beans to her family later that evening and said they were 'totally delighted' with the good news. The woman now intends to help out her family and is planning her first visit to America. A man from Queensland, Australia, who won a Nissan Pathfinder car in the Oz Lotto 20th Birthday Draw earlier this month, believes his dead wife set him up for the win. Rockhampton resident Allan Reinikka Rokawinner said he was leaving the newsagents when he heard a voice tell him, "Put a ticket in." Rokawinner thinks the voice must have been his wife Jo-Anne, who died in November 2013, because the subject of a new car had always been a topic of conversation between them. "When I found out [about the win] I picked my jaw up off the floor, I thought it was fake," Rokawinner said. He'd been driving about in a Toyota Corolla for about eight years and doesn't normally play the lottery. "It was just a one-off. I put a ticket in the jackpot draw for some strange reason because I heard a voice. So I did what I was told," he said. EuroMillions winner Neil Trotter has become the latest lottery millionaire to have his name hijacked by unscrupulous scam artists. It's the same old scam, only the name is new. The scammers send out mailings that claim to be from Trotter or one of his representatives and try to dupe victims into parting with their personal details by telling them they have been chosen to receive a share of Trotter's considerable fortune. Once the online rogues have attained the necessary details they can then use them to try and steal their victim's identity or to set up debt in their name. One mailing reads: "Mr. Neil trotter gave you part of his lottery winnings as charity. Please respond to this email with your name, address and phone number." Anyone who receives similar mailings should inform the police. Wednesday Night's Florida Lotto draw had a jackpot of $36 million, but if players had their fingers crossed it was futile gesture. The draw ended in a rollover, the jackpot increased, and players will be crossing their fingers a little harder next time around. The next draw is on Saturday night and the new estimated jackpot is $38 million. Although the Lotto jackpot continued with its rollover habit someone in Florida prevented the US Powerball from rolling over again when they matched all five main numbers and the Powerball and won Wednesday's $148.8 million jackpot. The winning Powerball numbers drawn on Wednesday, April 23, were 19, 25, 29, 36, and 48. The Powerball was 12. The Florida Lottery says the winning Quick Pick ticket was bought from E's Country store North on Immokalee Road in Naples. The winner has not yet come forward to claim their prize. This is the eighth time the Powerball jackpot has been won by ticket-holder in Florida since 2009 when the state first joined the game. Last month a Mega Millions player in Florida matched all five numbers and the Mega Ball in the March 18 Mega Millions draw and won a 50% share of the $414 million jackpot, but the lottery is still waiting for the winner to come forward and claim their prize. The Florida Lottery sold its first ticket in 1988. Since that time the lottery has paid out over $37 billion in prizes and created over 1,300 millionaires. A Hoosier Lottery player who won $2 million while separated from his wife was told on Wednesday he would have to give his estranged partner 2.5% of his winnings ($50,000). The ruling was made in the Indiana Court of Appeals and upholds the original ruling made in 2012 in the Allen County Superior Court. Jose De Jesus Carrillo Perez married Maria Guadalupe Vidrios Zepeda in February 2002. They parted in 2006, but neither party filed for legal separation or divorce. During the six years that followed the miss-matched pair spoke to each other no more than two or three times. They never shared assets or bank accounts and lived totally separate lives. Carrillo Perez won his $2 million prize in January 2011 and filed for divorce two months later. The divorce was granted in June 2012, but Vidrios Zepeda wanted a share of her one-time partner's money and initially asked for $1.4 million. Carillo Perez' attorney Mark C. Chambers said: "In the legal scheme, they were still married and the assets they accrued under standard divorce law would belong to both of them, and the presumption would be that they would be split 50-50. But this case was unique. When they split up, the wife took everything, and there was almost no contact for nearly six years until Jose won the lottery." Allen Superior Court Judge Charles F. Pratt ruled that Vidrios Zepeda was not entitled to an equal split of the marital assets—including the lottery receipts. Margaret Ryznar (Indiana University Robert H. McKinney School of Law in Indianapolis) said: "Often the court will divide marital assets in a proportion resembling 50-50, but there is room for departure depending on the court's judgment. Here, the departure is not surprising given that the husband and wife were living entirely separate lives by the time of the lotto winnings." The Massachusetts Lottery has just released its newest scratch-off ticket and at $30 it's the lottery's most expensive ticket to date. The new "World Class Millions" ticket may carry a higher price tag, but it also boasts a higher jackpot and with $15 million up for grabs the tickets should prove a hit with many lovers of scratch-type games. The game has four $15 million prizes and the odds of becoming one of the games top winners are 1 in 6,300,000. Smaller prizes range from $10 in value to $1 million and each non-winning ticket is eligible for entry into one of five second chance drawings and could win up to $1 million. A forty-four-year-old accountant from Kelowna, British Columbia, spent a month walking around with a winning lottery ticket tucked inside his wallet and had no idea it was there. Steve Woloshyn is not a regular lottery player. He only purchases them when the whim takes him, and rarely buys more than three or four in a year, so it was easy for him to forget he'd bought a ticket for the March 22, (Canada) Lotto 6/49 drawing. Woloshyn finally noticed the tickets presence inside his wallet when he did a spot of shopping on Tuesday, April 22. "I was taking out money to buy milk at a corner store and noticed the ticket was in my wallet," Woloshyn explained. "I had forgotten about it. So I check to validate it and discovered it was a winning ticket. At that moment, I was more in shock than anything. I couldn't believe it." Woloshyn purchased his winning ticket when he stopped at a Chevron gas station in Hope while travelling home from Vancouver. The fortunate number cruncher told lottery officials he may pay off his mortgage, but said he planned to leave the money in the bank until he and his wife could decide what to do next. "A million dollars . . . it certainly enhances your life." he said. "I guess I was lucky that I didn't lose the ticket all that time it was in my wallet." Canada Lotto 6/49 drawings are held on Saturdays and Wednesdays. The odds of winning a prize are 1 in 6.6. The odds of winning the jackpot are 1 in 13,983,816. A caregiver from Phoenix who won $1 million on an Arizona Lottery Million Dollar Cash Bonanza scratch-off ticket claimed her prize on Monday. Alice Lewis bought her ticket from a vending machine situated inside Fry's Foodstore on Baseline Road in Phoenix and got busy scratching as soon as she returned to her car. As the winning numbers were revealed Lewis thought she had won $1,000. When she realized how wrong she was she rushed back to the store and had the clerk double check the ticket. When asked about her plans for the money Lewis told Arizona Lottery officials she intends to invest it ready for her retirement next year. The Million Dollar Cash Bonanza game was introduced on March 19, 2013. The top prize is $1 million. Winners can choose to take their prize in annuity payments of $50,000 for 20 years or take a one off lump-sum payment of 650,000. Only one $1 million prize remains to be claimed. Register your sales receipts for the chance to win a prize—that's how it works with Slovakia's tax lottery. The Slovakian government had a problem. Retailers often failed to register purchases so they could avoid paying VAT (a form of European sales tax) and a steep decline in VAT revenue had been noted over the past 10 years. Traditional methods of catching VAT-evading culprits—hiring auditors and taking people to court—was proving an increasingly expensive option so the government hit on a novel idea. They decided to tackle the problem by introducing a lottery. Slovakians are now encouraged to collect all their sales receipts and register them. This provides the government with a paper trail that ensures Slovakian business owners are forced to pay their VAT. The advantages for the government are obvious and players are highly incentivized to play the game, and register their receipts, because the monthly prizes include €10,000 cash, a car, or the opportunity to become a contestant on the Slovakian version of The Price Is Right. Slovakian factory worker Jozef Lazarcik, 35, recently won a new car. He couldn't believe his good luck when he heard his number called out on national TV because he'd only registered nine receipts. "It’s a heavenly feeling," Lazarcik said. He is now encouraging his friends to register their receipts as well. Such reactions are common so each time the lottery comes up trumps for a player the government gets a big win too. About 60 Million receipts have been registered since the lottery was introduced last year and Slovakian tax officials state they have already seen an about turn in figures. 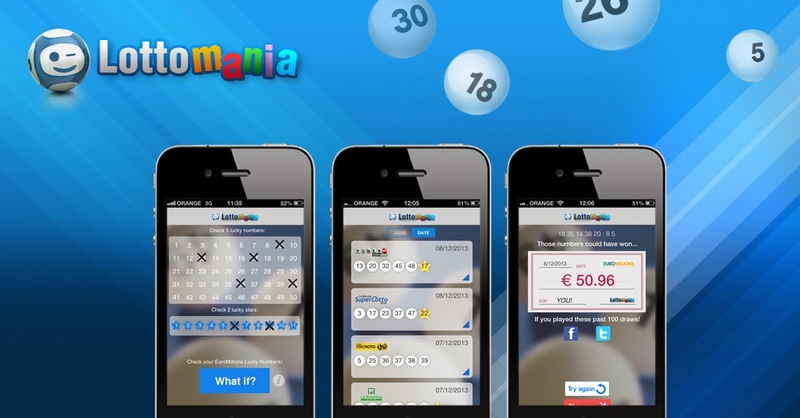 Many other European countries are now considering the introduction of similar lotteries. The Ohio Classic Lotto draw ended in a rollover on Monday night so the Wednesday night draw now has a jackpot of $68.7 million. Summer is just around the corner and there hasn't been a single Classic Lotto Jackpot won all year so it's been a long, dry spell for Ohio Lotto players. Classic Lotto drawings are held on Mondays, Wednesdays, and Saturdays. That's three draws a week, so it's strange that the jackpot has remained so evasive for so long. The Ohio Lottery's Rolling Cash 5 game is a different story. Sunday's $864,000 jackpot was shared by four ticket-holders. That was the third Jackpot win this month. That's not surprising. Draws are held every day. The odds of winning the Rolling Cash 5 may be higher, but with the Classic Lotto the prizes are higher. You pays your money and you takes your choice. No player managed to match the six main numbers in the Austria Lottery drawing on Sunday night, so the Wednesday night jackpot is €1.7 million. Although nobody successfully matched the six numbers required to win Sunday's jackpot three players won a second tier prize of €40,144 for matching 5 numbers and the Zusatzzahl [bonus number]. A further 336,639 players picked up smaller wins from the lower tiers. Known to Austrian players as the "Lotto 6 aus 45", the first Austrian Lotto draw was held in 1986. About 42-43% of the money received for Austrian Lotto ticket sales is returned to players in the form of prizes and each year the lotto provides hefty donations to the Austrian Federal Sports Organization. Several lotteries were teasing lotto loving punters with big jackpots over the Easter weekend, but players who dreamed of securing a nice Easter nest-egg were forced to save those dreams for another day. The two big Easter Friday draws were (US) Mega Millions and EuroMillions. Neither game produced any first or second tier winners, so both games will be trying to tempt players with even larger jackpots on Tuesday, April 22. The Tuesday night Mega Millions draw has an estimated jackpot of $48 million and its European counterpart is more tempting still because EuroMillions players will be shooting for an estimated jackpot of £47 million (US$78,880,100). Jackpot-hungry (US) Powerball players were also disappointed during the Easter period because the Saturday night Powerball drawing failed to produce any first or second tier wins either and the Easter rollover has inflated the Wednesday night jackpot to a mind-blowing $150 million. The Florida Lotto also seems to have acquired a rollover habit as well of late. That habit persisted on Saturday and the lotto's latest rollover has increased the Wednesday night Florida Lotto jackpot to $36 million. The jackpot hasn't been won since January 18, when one ticket matched all six numbers necessary to secure the $12 million prize. Not to be outdone by its rival in Florida, the California SuperLotto Plus drawing also ended in a rollover on Saturday and did so in a big way because SuperLotto players are now doing some California Lotto dreaming about winning the $53 million jackpot on Wednesday night. A woman from San Bernardino, California, who won a $1.1 million US Powerball prize, picked up her check last week and said she intends to put some of her winning to good use by using it to help animals. Judith Mayo, 72, and her partner George Kosek bought their winning ticket from K&G Liquor in Hesperia and successfully matched five of the numbers drawn on Saturday, April 12. Kosek now plans to use some of their $1,120,480 winnings to set up college funds for his grandchildren and animal-loving Mayo is equally selfless in her ambitions because she is looking forward to donating some money to her favorite animal charities. "I love animals!" she said. "I have lots of horses, dogs and cats. I’m just in a fog. We’re finally just getting it straight that it [the win] really, really happened." An expert on Turf gave his bank balance a spurt of growth on Tuesday, April 15, when he used his green fingers to fill out an Oregon Lottery claim form. Turf Tech seed testing and research laboratory owner Phani Bangalore's $60,000 lottery windfall came courtesy of the Oregon Lottery's Second Chance Scratch-It drawing. After deductions for state and federal taxes he received $40,201.25. To enter Second Chance drawings players have to register with the Oregon Lottery website and add the codes from their non-winning scratchers to an online form. The prize amount available is determined by the last top prize in the relevant game. Karen Scott from Waverly, Ohio, has won $1 million playing the Ohio Lottery's Instant Millions scratch-off game. The Ohio Lottery Commission announced the news on Tuesday, April 15, and said Scott had decided to take her money as a one-off lump sum instead of the annuity payments. Had she taken the annuity payments she would have received $50,000 a year for the next 20 years. Taking the cash option nets her $355,000 after state and federal taxes. This is the second time Scott has got lucky with a lottery scratcher. The first time was in 1994 when she won $20,000 playing Holiday Cash. The Dorking and District Talking Newspaper has put their £700 UK National Lottery Big Lottery Fund grant to good use and purchased the recorders, microphones, and other equipment necessary for the production of a new monthly magazine for the partially sighted. Dorking Talking allows listeners to enjoy content that the talking newspaper does not cover, including audio descriptions of local landmarks, funny stories, information about products and services the partially blind may enjoy, and interviews with local residents and service providers. Magazine editor Jessica Thurtell said: "It's a wonderful boost which lets us bring an extra hour or so of entertainment from familiar, friendly voices to our listeners." When newlywed Steve Durbin, 69, tried to impress his new wife, Wilma, with his cooking skills last week he only succeeded in ruining their steaks and had to rush out to buy some more. While he was at his local Kroger supermarket the Taylorville resident decided to buy 10 Quick Pick Illinois Lotto tickets. He checked them two days later and was shocked to discover he'd won the $20.25 million jackpot from the Wednesday, April 10, draw. Durbin checked his tickets online. Wilma, who is an insurance agent, was at work at the time and he was so keen to share the good news he rushed to her office and said, "Well, I think I should tell you that our life is going to change drastically." Wilma's first reaction was to ask him if her dog had died, so Durbin had to spend some time reassuring her their pet was alive and well before they headed off to the Kroger to confirm the win. Durbin chose to take the cash option of $11.6 million. After state and federal taxes he will be left with $8.1 million. The Durbins are now planning to take a trip to Mount Rushmore and want to visit Italy, but are unsure what they will do with the rest of the money. "Spend some, share some and save some," Durbin mused and Wilma said the important things were family, friends, and faith—the rest will figure itself out. A woman from Missouri has vowed to use her lottery winnings to help her sister. Exeter resident, Charlotte Jones, is not a regular lottery player, but she decided to splash out on a Missouri Lottery Lucky 7's Playbook scratch-off ticket, earlier this month, while she and her sister Janis were shopping at Casey's General Store in Cassville. When the two sisters saw the $20 ticket had returned a $50,000 win they were dumbfounded. "We both just kind of looked at each other," Jones explained. "She looked at me and said, 'I've got to find out if this is real or not.' This is going to help out amazingly so." Janis has been battling cancer for 14 years. The disease recently resurfaced and she has to make regular trips to Springfield for radiation treatment. The 140 mile round trips are a strain on her finances so Jones thinks divine intervention has put her in a position to help out. "If I pay for her gas up here for these next five weeks that will make a whole world of difference, because they have car payments, house payments, things like that," Jones said. "I’m going to make life easier for her. I think that’s why God let me win this today." The Missouri Lottery was created in 1985 and sold their first (instant-win) ticket on January, 20, 1986. Later that year, on October 1, they began selling tickets for the first Missouri Lotto draw. Tuesday night's AUD$15 million Oz Lotto jackpot was won by a couple from Perth, Australia. Their names have not been released, but the woman checked their ticket on Wednesday morning and was so surprised by the win she kept rechecking the numbers and began pacing the floor. "My partner had left for work and when I finally got through to him, I asked him to sit down," the woman recalled. "Then I said I've got a full line of numbers on Oz Lotto!" The woman said they now intend to buy a house for her sister and set up an education fund for her sister's children. Then, after an early retirement, the couple plans to pursue their hobbies and do voluntary work in the local community. Monday night's AUD$1 million jackpot went to man in Forster, New South Wales. The winner has opted to remain anonymous, but NSW Lotteries said he was shocked when they rang and told him the news. "Are you sure you’re not joking?" he asked. "I’ve been playing Monday Lotto for years but I’ve only ever won enough to buy a couple of coffees." The winning ticket was purchased from Tull's Newsagency and store owner Dennis Tull is also in the dark about the winner's identity, but he said he believes the man is a regular customer. There was another rollover in Ohio last night so the Classic Lotto jackpot has been saved for another day. If the present trend continues that day could be a long time coming. It's been over two years since anyone claimed the Ohio Lottery's big-money prize. The next draw is on Wednesday at 19:05 (EDT) and the estimated jackpot is now $67 million. The next Arizona Pick drawing is also on Wednesday night and the Pick has also seen its fair share of rollovers in past weeks so the jackpot has grown to $2.9 million. The last time jackpot was won was January 25, 2014, when a lucky 'Pick' player picked all the right numbers and scooped a $4.9 million reward. The Heritage Lottery Fund (HLF) has awarded a grant of £138,900 to pay for repairs and improvements to an important religious landmark in North West England. The lottery funds will be used to complete urgent repairs to the roof Ss Peter, Paul and St Philomenas Church in New Brighton—commonly referred to as 'The Dome of Home'. A portion of the funds will be used to further weatherproof the building by repointing the brickwork. A new accessible toilet is also on the agenda and church visitors will be provided with a range of new activities designed to provide a better appreciation of the Dome of Home's art and architecture. The church was built in 1935 and was given its unusual nickname by World War II sailors because its distinctive roof was so easily recognizable on their approach to Liverpool. Wallasey councilor Paul Hayes said: "It is terrific news that the Heritage Lottery Fund are continuing their support for the Dome of Home. This church's contribution to the heritage of Wirral is substantial and this is widely recognized by members of our community. A new guide book will be released at Easter and a new website will provide further information about the Dome of Home and its rich cultural heritage. Canon Amaury Montjean (rector of the church) said: "Following the enormous success of our first Heritage Open Days last September, we hope to welcome many more visitors throughout the summer on our Guided Tours." The Heritage Lottery Fund is responsible for distributing a share of the funds raised by UK National Lottery Good Causes. HLF grants are awarded to projects designed to sustain and transform the British Heritage. A 27-year-old Engineer from the Cargill Meat Factory in Hereford beefed up his bank account last week with a £1 million EuroMillions Raffle win and decided to travel the world. Matt Myles rarely takes a gamble on the lottery, but made a spur-of-the-moment ticket purchase from his local Morrisons supermarket on Tuesday evening. Speaking to a reporter from the Hereford Times Myles said: "It was at 2am and I was working nights and had to stay up to get in 'night mode'. I realized I hadn’t checked to see whether I had any numbers but didn't think I’d win." As soon as he saw the numbers he knew he hadn’t won anything in the main draw and almost forgot to check the EuroMillions Raffle numbers. Then he noticed the first few digits and realized he was a winner after all. Despite the late hour, Myles rang a friend, asked them to verify the numbers for him, and screamed with joy when they confirmed the big win. With so much unexpected money at his disposal Myles decided it was a good opportunity to broaden his horizons so he quit his job. His 26-year-old brother Pete, who was employed at the brain Injury unit in Leominster, also clocked out for the last time and the pair are now busy clocking up their air miles on a round-the-world tour, starting in Indonesia. Myles said he's 'sorted out' his family and intends to leave £800,000 in the bank so he can live off the interest. "I just can’t get over it. It's absolutely life changing," Myles said. Two tickets matched the six numbers required to win Saturday's UK National Lottery £8.7 million Lotto jackpot. The identity of the winners is not yet known, but each ticket-holder will receive £4,390,682. Over in America, many of the major jackpots proved more elusive. Nobody managed to match the five main numbers and the Powerball in Friday's Mega Millions drawing, so the estimated jackpot for Tuesday night's drawing is $28 million. There was another jackpot rollover on Saturday night in sunny Florida so if the Florida Lotto can kick its rollover habit on Wednesday someone could be picking up a $34 million check later in the week. Saturday's US Powerball drawing also resulted in a rollover so the Wednesday night drawing now boasts a jackpot of $110 million. That's serious money, but it's still small change by Powerball standards. On February 18, 2006, a syndicate from Nebraska won $365 million. A Pizza Shop owner from Tinicum, Pennsylvania, appeared in court last Wednesday and pleaded guilty to a conspiracy involving the theft of a lottery ticket worth $2,500. Anthony Vicidomini Sr., 52, also entered a plea of guilty, to one count of possessing a controlled substance. Vicidomini, who owns Anthony’s Pizza Shop, was in court due to an incident that happened October 11, 2013. A customer waiting for a pizza decided to show shop employee, Nancy Souders, 18, his winning lottery ticket, telling her he intended to cash it after he left the shop. On reaching his destination the man realized he had left his ticket on the shop counter. He rang the shop and when Sounders confirmed the ticket was still on the counter he said he would return for it and give her $50 reward. While the man was en route Vicidomini Sr. rang him and said Sounders had mistaken an old receipt for the ticket, which was not there after all. The man contacted the police at once and search warrants were obtained for the pizza shop and both of Vicidomini Sr.'s cars. The officers failed to find the ticket, but discovered narcotics hidden inside the shop and one of the cars—driven by Vicidomini's son. Vicidomini Sr. and Sounders later gave statements admitting they had cashed the ticket and split the winnings. The judge ruled that Vicidomini Sr. and Sounders must repay the stolen $2,500 and sentenced Vicidomini Sr. to time served to 23 months. He was also sentenced to one year's probation—relating to the drugs charge—to run consecutive to the theft case. Vicidomini Jr. was not charged in relation to the theft, but is facing charges of possessing drug paraphernalia and possessing a controlled substance with intent to deliver. Souders is scheduled to appear in court, April 28, for trial on charges relating to theft, conspiracy, receiving stolen property, and drug paraphernalia. A lotto player from Queensland picked up his phone on Friday morning and was stunned to discover he'd won the entire $40 million Australia Powerball jackpot. The winner—a family man from Brisbane—has chosen to remain anonymous, but the lottery representative who placed the call says there was a long silence after he'd given the winner the good news. Then when the man eventually broke the silence he summed up his emotions in just two words: "That's cool." Later he added: "We'll take our time and do the right thing with this prize money." Australia Powerball drawings are held on Thursday evenings at 20:30 (AEST). The overall odds of winning Division One prize are 1 in 76,767,600. If a job is worth doing it's worth doing right. That's a fact that is especially true when it comes to scratch-off lottery tickets and in Mukwonago, Wisconsin, one lotto player's rush job scratching resulted in a gas station customer filling up his wallet with some quick cash. "A customer had found a scratch off ticket on the parking lot ground and the only thing that was scratched off on it was the play area which had the three-letter codes and it ended up being a thousand dollar winner," Mukwonago Mobil Station manager Michael Bell said. Bell believes the ticket holder tossed it away due to a common misconception about the three-letter codes. According to Bell the code sometimes indicates the size of the prize for winning tickets. A ticket worth $5 would show 'F-I-V' and a $10 prize would be indicated by 'T-E-N'. Many players have discovered this, but are unaware the codes for prizes of $600 or more look random. "A lot of players don’t play the game, a lot of them just are wanting the money they want to take the chances on the gamble, so they know where those codes are so they just scratch those codes," Bell explained. On hearing of the incident, a Wisconsin Lottery spokeswoman said the codes are not intended for player use. "The purpose of the code is really to provide retailers with extra certainty with respect to prizes under $600 since they’re paid out by retailers," she said. The estimated jackpot for tonight's National Lottery draw is an estimated £9.2 million. That's a good wedge of cash by anyone's standards and it's been a while since the UK Lotto has offered a jackpot this size. The last time UK Lotto players had the chance of such a large jackpot was October 12, 2013, when one ticket matched all six numbers drawn to win £10 million. Tonight's sizeable main prize may encourage a last minute buying spree that could push the jackpot even higher, and with 150 £20,000 raffle prizes also up for grabs it looks like being a big night for UK National Lottery players. The Dylan Thomas Exhibition has been awarded a grant of nearly £1 million from the Heritage Lottery Fund (HLF). Dylan Thomas was born in Swansea, Wales, on October 27, 1914. This October marks the centenary of his birth and the HLF grant will be invested in a new-look exhibition and community outreach programme that will provide more people than ever with a chance to benefit from the Welsh poet's legacy. The £935,700 HLF grant will enable Swansea's Dylan Thomas Centre to expand their facilities and display many Dylan Thomas-related items that are presently held in storage. The present timeline of the poet's life and achievements will also be improved and a new section, concentrating on Dylan Thomas' process of writing, will be added. The Dylan Thomas Centre was opened in 1995 by the former United States president, jimmy Carter and when Carter was told of the award on Thursday he was thrilled to hear the news. "Dylan Thomas was one of the greatest poets of the past century and I have always felt an affinity to his poetry and literature," Carter said. The present exhibition receives visitors from all over the world, but a revamp is long overdue and Swansea Council leader David Philips is looking forward to being more 'creative' with the numerous available Dylan Thomas artifacts. "This grant will help create a vibrant learning space and build an exhibition space that will not only help us to display more of our collection but will also enable us to attract unique Dylan Thomas-related artifacts from across the world, making it a truly international heritage hub," Philips said. Wednesday's €6.5 million Irish Lotto jackpot was won by a customer of the Mimnagh Shop, in Slane, County Meath. A lottery representative rang store manager Peter Fleming the morning after the draw and told him he'd sold a ticket worth €6,496,218, but Fleming has no idea who the lucky winner might be. "I found out this morning [Thursday] at 7.30 when the lottery rep rang me to tell me the good news that somebody who bought it in Slane has won the six-and-a-half million," Fleming said. "They told me it was bought on Tuesday—a quick-pick line on a multi-draw ticket. That's all they could tell me. I wouldn't have an absolute clue who it was." Ohio Classic Lotto: Will the Rollovers Ever End? Nobody managed to match the six winning numbers in the Wednesday, April 9, Ohio Classic Lotto draw so the jackpot rolled over again. Classic Lotto drawings are held on Mondays, Wednesdays, and Saturdays, but the Jackpot has been eluding players for over two years. The odds of winning a prize in the Classic Lotto jackpot are 1 in 54. The odds of winning the jackpot are 1 in 13,983,816. The last time the Classic Lotto jackpot was won was December 7, 2011, when one lucky player scooped a $2.7 million prize. The jackpot has been growing ever since and the jackpot available on Saturday now stands at $66,500,000. The total payout from lower tier wins on Wednesday was $51,486 and the total payout from Monday's draw was $40,860, but Ohio Lottery officials are at a loss to explain the long continuation of jackpot rollovers. The game was introduced in January 22, 2007, to replace the bingo-style game Lot 'O Play and the Ohio Lottery report Classic Lotto sales of $5.1 million for the fiscal year 2013. This accounts for 0.2% of total Ohio Lottery sales. The Classic Lotto is one of seven draw-type games available to Ohio Lottery players. The biggest two draws being the multi-state games Mega Millions and Powerball, but the lottery also provide players with a variety of other online and instant-win scratch-off ticket type games and lottery sales generate $19 Billion for public education each year. April looks like being an especially good month for Irish National Lottery players because the lottery has gone car crazy and decided to give away nine luxury cars worth €30,000 each. To have a chance of winning one of the nine Mercedes-Benz A-Class cars players need to hang onto their old Ireland Lotto tickets and enter the last four digits of the barcode number into an online form on the Lotto Ireland website. The next car drawing is on Saturday and players who want a chance at some luxury motoring need to find their ticket from last night's Lotto draw and pop their details into the form before 18:00 on Saturday April 12. A woman from Cumbria who has always dreamed of owning her own home is now planning on making her dream a reality thanks to a UK National Lottery Purple scratchcard. Carol Cartmell, 41, bought the purple winner on Tuesday from the Spar convenience store in Whitehaven and had to do a 'double take' when her scratching revealed a succession of "£100,000" symbols. "I was sitting in the car outside the shop scratching the card, never imagining that it would be a winner," Cartmell said. "I then saw the £100,000 symbol; it then appeared again and then again for a third time." Cartmell now intends to buy her own home and to 'treat' her partner, Mark, and their three children. "Owning a home is just something which I never believed would ever happen to me. It was just so far off my radar—it was impossibility, a dream," Cartmell said. "The win on the scratchcard has made this a reality." Police in Ghana have arrested 101 illegal lotto operators. The arrests were the result of a swoop carried out in collaboration with the National Lottery Authority (ALA). The arrests were made on Friday, April 4 and Saturday April 5. The unlicensed operators face charges of lottery fraud and contravening the National Lotto Act, Act 722 of 2006. Speaking on Sunday, Lieutenant Colonel Yaw Dzotefe-Mensah, General Manager in charge of Security at the National Lottery Authority, pointed out the ALA is the only organization authorized to operate a lottery in Ghana. The NLA plans to continue monitoring for illegal lotto activity and anyone found running unsanctioned operations could face a fine, a custodial sentence, or both. A Shoe shop assistant from Conwy, Wales, dug into her handbag and found £1 million she didn’t know she had. When Carol Jones, 66, bought a ticket for the February 25, EuroMillions draw she popped it in her handbag and it never saw the light of day until last weekend when she went on a shopping trip and found it at the bottom of her handbag. "I just thought I had better check the ticket but I never believed it would be a winner," Jones said. When Jones checked her ticket she discovered she was the EuroMillions Millionaire Draw winner the UK National Lottery had been searching for five weeks. Jones has now taken an early retirement and is considering buying a new bungalow and taking her husband Harold on a safari holiday. "This is just a lovely amount to be able to retire on and for us to get the house of our dreams, have a wonderful holiday and lots of retirement luxuries," she said. In an announcement made earlier today the UK National Lottery's Big Lottery Fund said lottery funding has been awarded to 11 projects across the Highlands and Islands of Scotland. The projects will share a pool of £2,266,742 that is being awarded through the Big Lottery Fund's Community Spaces Scotland scheme. Community Spaces Scotland provides funding to projects that help communities come together and take advantage of local spaces and places, improve the local environment, or help residents become healthier, happier, and more active. The awards announced today are part of a wider £10 million investment to 59 projects spread all over Scotland. Among the projects chosen for this round of funding are the Back Football and Recreation Club, Barra Children's Centre, and the Breasclete Community Association on the Isle of Lewis in the Outer Hebrides. The Breasclete Community Association plans to use their of £225,545 grant to put a disused plot of ground to good use by developing an eco-garden and a children's play park. Kenny MacLennan, Chair of Breasclete Community Association, said: "Without this award we would never be able to provide such a facility and we look forward to working with the Big Lottery Fund over the coming months to provide a much needed amenity for our community. We are genuinely excited about the award as this allows us to progress a community project that has been part of our community development plan for many years." Tuesday night is Mega Millions night. Friday's draw ended in a rollover so tonight's draw has an estimated jackpot of $15 million and players who add the Megaplier option to their tickets could have a change of winning up to $75 million. The EuroMillions drawing also takes place tonight and some lucky ticket-holder could top-off their evening by winning €21 million. If no ticket matches the five main numbers and two lucky stars required to win the jackpot it will rollover to Friday's draw. Friday is already an important day for UK EuroMillions players because a Special Millionaire Raffle drawing has been scheduled that promises to create 10 new UK EuroMillionaires. An Animal lover from Chicago who won $4 million on a scratch-off ticket said she is going share her lotto windfall with the American Society for the Prevention of Cruelty to Animals. Marta Paciorek, 41, bought her lucky Illinois Lottery "50X the Cash" scratcher from Jay's Food and Liquor store and got busy scratching the moment she got home. When she saw the size of her win Paciorek was so shocked she forgot all about a second ticket she'd bought at the same time, but couldn't forget the needless suffering many animal experience every day. "Animals are lovable creatures that deserve to be treated as members of the family, just like Tabby my 10-year old Labrador retriever," Paciorek said. "I'm happy this lottery win will allow me to donate to an animal rights charity." The Heritage Lottery Fund (HLF) has awarded funding to a project that hopes to help secure the future of a rare species of bat. Greater horseshoe bats are so named because of the distinctive horseshoe-shaped organ on their noses and, with wingspans that often reach 40cm; the greater horseshoe is one of the largest bats to fly Britain's nighttime sky. Britain's population of greater horseshoe bats has fallen by 90% in the last century, as the bats have struggled to keep pace with a growing number of insensitive building developments and changes in the landscape. Devon is one of the most important greater horseshoe bat breeding grounds in Northern Europe and Devon Wildlife Trust is determined to secure the bat's future. Devon Wildlife Trust's Conservation Advocacy Manager Peter Burgess said: "Funding from the Heritage Lottery Fund will allow us to plan the first stages of the Greater Horseshoe Bat Project." The HLF has provided the Greater Horseshoe Bat Project with a £65,000 development grant. "It will allow us to support local farmers to farm in more 'bat friendly' ways," Burgess explained, "helping to maintain vital bat feeding areas and flight corridors." Head of HLF South West, Nerys Watts said: "We’re sure the Devon Wildlife Trust run project will be a great success and we look forward to seeing these initial plans progress over the coming months." The HLF distributes a share of the funds raised by UK National Lottery Good Causes. HLF grants are awarded to projects designed to sustain and transform the British Heritage. A EuroMillions player from Conwy, Wales, heeded the appeals of the UK National Lottery last week, checked through their old tickets, and discovered they were a millionaire. The National Lottery has been searching for Welsh EuroMillions Millionaire Draw winner since the February 25, 2014, drawing. Lottery organizers Camelot have confirmed the prize has been claimed, but say the winner wishes to remain anonymous. The National Lottery is still looking for the winners of several more large prizes and one lucky player will become a lottery loser if they fail to present their ticket by the end of the month. The ticket was bought in the City of Westminster and matched five main numbers and the bonus ball in the October 30, 2013 Lotto drawing. The ticket secured a second tier prize of £78,482, but if the winner fails to come forward by Apr 28, the money will be allocated to National Lottery Good Causes. Several lottery draws ended in rollovers on Saturday night, allowing their jackpots to grow a little larger for their respective Wednesday night drawings. Three UK National lottery players managed to match 5 main numbers and the bonus number to win a second tier prize of £115,333, but nobody got all six main numbers so the Wednesday night jackpot has risen to an estimated £5.9 million. Saturday's Canada Lotto 649 rollover caused the jackpot to grow to an estimated $7 million and some lucky lottery player could be whooping for joy if they win Wednesday's Florida Lotto jackpot because the rollover has pumped up its value $31 million. At $46 million, the California SuperLotto Plus jackpot is larger still, but the US Powerball offers players the biggest jackpot on Wednesday because some lucky Powerball player might secure a mid-week win of $80 million. The EuroJackpot jackpot was won on Friday by a lottery syndicate from Helsinki, Finland. The last time the jackpot was won was January 10. Since then a succession of rollovers saw the jackpot grow to €57.3 million—the largest EuroJackpot prize since drawings began in March 2012. Friday's winning ticket was bought from a kiosk in the town of Toijala and a kiosk employee told a reporter from the local tabloid Ilta Sanomat they expected news of the win would generate a lot of local interest. The syndicate consists of 10 workers from SKS Toijala Works. The company's CEO Pasi Kannisto has already heard the news and now fears he may have a problem on his hands. "I hope the guys come to work on Monday," Kannisto said. A man from Sedalia became the 400th Missouri Lottery Millionaire with a scratch-off ticket he bought from his local Rush Hour gas station. The Missouri Lottery's "50X The Cash" game began December 30, 2013, and offered three top prizes of $1 million. As well as being the 400th Missouri Lottery-made millionaire, Gerald Abney, 65, is the first person to scratch out a big win in the game, so two more $1 million prizes are still waiting for some lucky punter to find them. Abney chose to take his winnings as a lump sum payment of $700,000, before taxes, and said he would use the money to clear his house and truck payments. Mega Millions Winner Says, "The Machine is Broken!" When lottery players scan their tickets, if the screen flashes to signify a big win some of them may hoot and holler, or jump for joy. One or two may even go weak at the knees, but one New York Mega Millions winner simply looked at the cashier and told her the machine was broken. This strange turn or events happened earlier this week at the JackSpot Convenience store in Shirley, New York, and the disbelieving winner was holding onto a Mega Millions ticket the New York Lottery had been searching for since the March 25, drawing. Cashier Laura Marckesano ran the ticket through the machine for a second time and tried to tell the mystified man he'd won a big prize, but he still failed to grasp the situation. "He's not catching what I'm saying," Marckesano said. "So I smacked his shoulder—'You won $20 million dollars!' That kind of woke him up." New York Lottery representative Christy Calicchia said the man claimed his prize on Wednesday, but the lottery will not be releasing his name until an upcoming news conference. JackSpot convenience store owner Howie Frank was a little more helpful, stating the winner was a 48-year-old hospital orderly who did not intend to go public before he'd had chance to take legal and financial advice. "He said he likes his job and he's going to keep his job—we'll see," Frank said. A woman from Westland, Michigan, proved she was no April fool earlier this week when she picked five of the winning Mega Millions numbers drawn on Tuesday April 1, and won a $1 million prize. Jennifer Krauss bought her winning ticket from the Take-a-Break Café in Auburn Hills, returned on Wednesday morning, checked the ticket, and spent the rest of the day clutching her purse. "I was so nervous I kept the ticket in my purse. Then I kept my purse with me all day," she told lottery officials. Krauss said she and her husband Phil now intend to pay off their debts and donate some of the money to charity. An Australia Lotto player who took the New South Wales Lottery Corporation to court lost his case on Wednesday and was ordered to the lottery's legal costs. Robert Clemett claimed NSW Lotteries owed him over $3.3 million from a drawing held nearly two decades ago, but failed to convince Justice Lucy McCallum. Clemett's fight with the lottery began in 2001 when the Nine Network aired a story about unclaimed lottery prizes and mentioned an unclaimed prize from the Oz Lotto drawing held on September 23, 1997. The $10 million jackpot was shared by three ticket-holders, but only two of the winners had stepped forward to claim their prize. According to the show the missing winner purchased their ticket from Greenfield Newsagents in the shopping centre on Greenfield Road. After the show had aired around 50 people contacted NSW Lotteries claiming to be the missing winner, but Clemett is the only one who was willing to take the lottery to the NSW Supreme Court to get his hands on the $3,348,326.14 prize. Clemett said he paid $61.75 for his ticket that contained the winning numbers 10, 24, 28, 34, 37 and 45, but claimed he'd later lost it. He provided details of the date and time he purchased the ticket, the number of games he played, and the type of ticket he purchased. When a court-appointed investigator discovered the details failed to match those of the winning ticket Clemett tried to explain the discrepancies by saying the newsagent must have changed his entry, but Justice McCallum dismissed the idea at once and said Clemett may genuinely believe himself to be the missing winner, but she was not satisfied this was so. "In my assessment, his fixation on that as an immutable fact has prompted him over the years to bend all of the surrounding evidence to meet it," she said. A meat wrapper from Brooklyn, New York, made a tidy packet on her coffee break when she bought a New York Lottery $10,000 A Week for Life scratch-off ticket and won the top prize. Single mum, Margaret Douglas, 51, claimed her prize on Wednesday and opted to take her winnings as a one-off lump-sum payment of $4,854,424 after taxes. Douglas works on the meat counter at the Pathmark supermarket on Albany Avenue, and didn’t have to walk far for ticket because they sell them in-store. "It's just my luck that day; so thank god for that day—right?" Douglas said. She now intends to buy a new home, cut down her hours at work and relax a little more. The Illinois Lotto celebrates the second anniversary of their online sales platform this month. Speaking earlier this week, Illinois Lottery Director Michael Jones said: "I see a huge future for it [online ticket sales]. It’s something that every major consumer company has— an internet interface—and the lottery has one as well." The online sales facility is undoubtedly a useful option that a lot of lotto players are happy to take advantage of, but many players still prefer to buy their tickets the old-fashioned way and pay regular visits to their local lotto retailer. "I always buy them local," said lotto player Aaron Webster, "so if by the chance I do win it goes back to the local community." Fellow Illinois lotto player, Gus Bavona, also prefers to buy his tickets over the counter because he finds it more convenient to combine his love of the lottery with his grocery shopping trip. "Oh yea, it's convenient," Gus said. Many people play the lottery all their lives without achieving a big lottery win, but 42-year-old Tina Ferrone from Ottawa, Canada, pulled off a $48 million Lotto Max win with her very first ticket. Ferrone bought her ticket on a whim and admitted her early success took her completely by surprise. She now plans to use some of the money to help support her family and is keen to open a yoga and wellness studio. Ferrone's husband was diagnosed with cancer a couple of years ago and said the win was a 'big boost' after such a rough run for the family. Canadian lottery winner Tom Crist is still busy giving away his winnings to good causes, but admits the amount of requests he receives is beginning to take a toll. "It's very tough, I feel bad," Crist said. "I had to quit reading the letters that I got . . . they were bringing up memories that I went through so it was really tough for me to read them." Crist won the Canada Lotto Max Jackpot in May 2013, and vowed to give away the entire C$40 million to charity. One of his first donations was to charity trust he established in memory of his wife, Janice, who died of cancer in 2011. "You feel good when you can do something, when you can help a family out that needs help, financial help," Crist said. "You can't help the whole world, but we are going to help as many people as we can." Crist has already donated generous amounts of money to cancer sufferers, and gave C$1.2 million to the Tom Baker Cancer Centre—a place of particular importance to Crist because they cared for his wife before her death. More recently, Crist invested several million dollars in Kidoodle TV—an online TV portal that provides children with safe entertainment in an environment parents can control. Any returns on his investment will also be funneled into his charitable foundation and he already has a meeting scheduled with the Alberta Cancer Board, later this month, to discuss where the next donation will go. Lotto-loving motorists in California may soon be able to take a chance on the lottery while they fill their cars with gas. If the new plan is approved players will be able to choose a game from screens on the front of the pumps and play Mega Millions, Powerball, or Super Lotto Plus while they top-off their tanks. Players would also be able to use the pump readers to claim smaller wins—up to $600—and have the winnings placed on their credit or debit card. But before players could play any of the California Lottery games they would need to prove their age by swiping an ID card. The future is looking bright for a Sunshine Coast resident who scooped a share of Saturday's (Australia Lottery) Gold Lotto $21 million superdraw. Australian Lottery organizers Tatts are keeping pretty tight-lipped about the man's identity, but state he is a retiree. The mystery winner shares the top prize with three other ticket holders. All three players will receive AUD$1.9 million. According to Tatts officials the winner is a long-time lotto player who said: "I've been trying to win Gold Lotto for years although my wife said I won her a long time ago." He now plans to share some lotto windfall with his family and leave the rest 'sitting in the bank'.